Ruurd Binnert Halbertsma (1958) is curator in the National Museum of Antiquities in Leiden and organiser of the international colloquium on the vase collection of Lucien Bonaparte in 2015. His main interest lies in the origin and history of the collections of classical art in European collections. Besides his appointment as curator, Halbertsma is professor at the Faculty of Archaeology of Leiden University and Fellow of the Society of Antiquaries of London. 2003: Scholars, Travellers and Trade – The Pioneer Years of the National Museum of Antiquities in Leiden, 1818-1840, Londen-New York (182 pp., uitg. Routledge). 2007: Niederländische Sammlungen antiker Skulptur in historischer Perspektive: Ruhm, Frömmigkeit und Wissenschaft, Kölner Jahrbuch 40, 45-55. 2008: Creating Antiquity: from an Archaeological Cabinet to a National Museum in the Netherlands, Leiden 1818-1840, in: Tsingarida, A./Verbanck-Piérard (edd. ), L’Antiquité au service de la Modernité? La reception de l’antiquité classique en Belgique au XIXe siècle, actes du Colloque international organisé du 27 au 29 avril 2005 à l’Université libre de Bruxelles et au Musée royal de Mariemont, Bruxelles (Le Livre Timperman), 65-79. 2014: Greek Vases in the Low Countries. An Assessment of Collecting Policies, in: Schmidt, S./Steinhart, M. (edd. ), Sammeln und Erforschen – Griechische Vasen in neuzeitlichen Sammlungen, Beihefte zum Corpus Vasorum Antiquorum Band VI, München, 73-83. 2015: Nulli tam laeti triumphi – Constantine’s victory on a reworked cameo in Leiden, BABesch 90, 221-235. 2015: Fluctuating Boundaries – Collecting Policies in 19th century archaeological and ethnological museums, in: Dries, M.H./Van der Linden, S.J./Strecker, A. (edd), Fernweh. Crossing Borders and Connecting People in Archaeological Heritage Management. Essays in Honour of Prof. Willem J.H. Willems, 153 – 156. 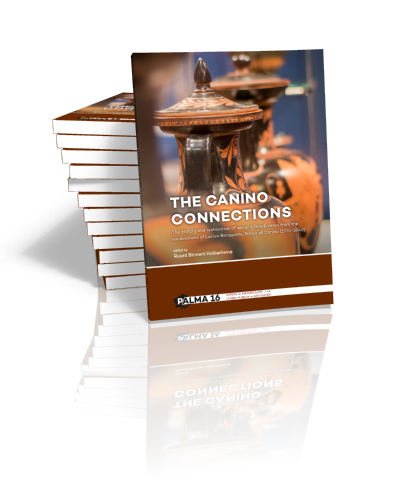 2017: The Netherlands and Tunisia: archaeological investigations in the 19th century, in: Dridi, H./A. Mezzolani Andreose (eds. ), Under Western Eyes – Approches occidentales de l’archéologie nord-africaine (XIXe-XXe siècles), Bologna, 49-65.